From I-10 turn South onto Piney Point then east on Beinhorn then turn North onto Hunters Branch curving to the left for Falling Leaf then a right onto Tiber and left on Capri. Lot is on right. Hello, I’m interested in 11118 Capri Street and would like to take a look around. 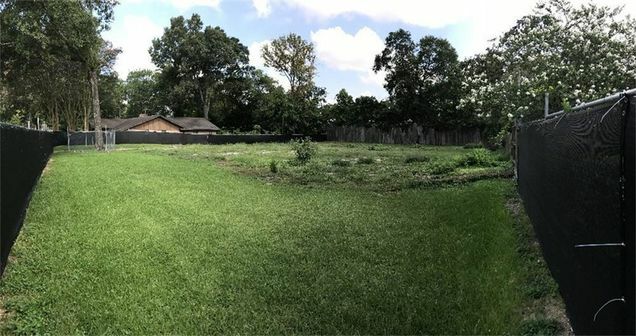 The details on 11118 Capri Street: This land located in Montebello, Houston, TX 77024 is currently for sale for $949,900. 11118 Capri Street is a – square foot land with – beds and – baths that has been on Estately for 2 days. 11118 Capri Street is in the Montebello neighborhood of Houston and has a WalkScore® of 38, making it car-dependent. This land is in the attendance area of Spring Branch Middle School, Memorial Drive Elementary School, and Memorial High School. Listing Courtesy of: HAR and Realty Associates.